Super CUTE! 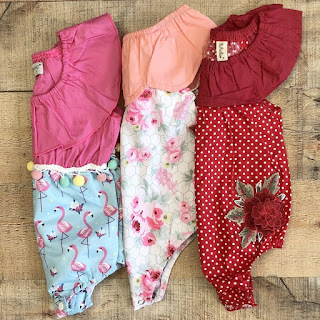 These Girls Rompers | 42 Options $12.99 (Retail $35.99). Regardless make sure your browse through the pictures - so freaking cute! $3.99 for the first item and $0.50 for each additional item. US only. Seller usually ships within 7 business days. Ships no later than Fri, Mar 23. Ends March 15th or while supplies last.